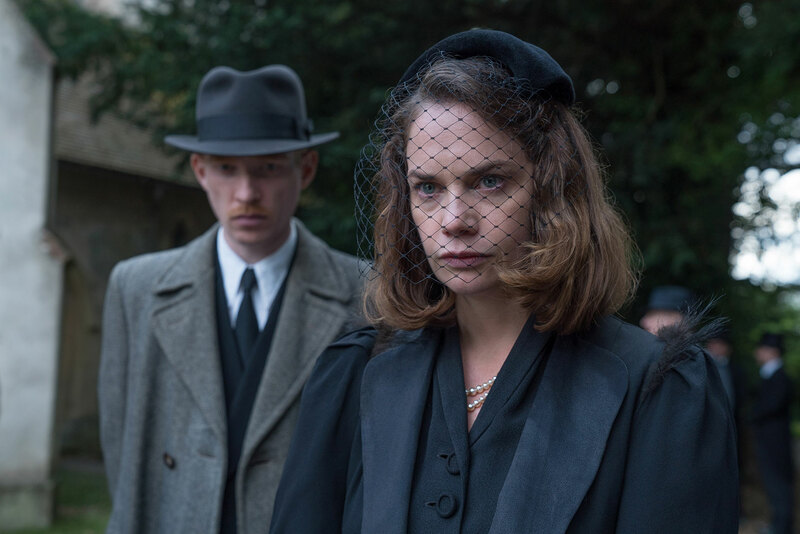 Two-time Olivier award-winner, Golden Globe winner, and Tony nominated actress Ruth Wilson has paved her way in theatre, television and film. Best known for her portrayals of Alison in The Affair, Alice in Luther and for her work on the London stage, Wilson has quickly become one of Britain’s most lauded young actresses. In 2018, Wilson received a British Independent Film Award nomination for the role of Alice Bell in Clio Barnard’s critically acclaimed third feature Dark River, alongside Sean Bean and Mark Stanley. Wilson also starred in the recently released feature How To Talk To Girls At Parties opposite Nicole Kidman, directed by John Cameron Mitchell which premiered at the 2017 Cannes Film Festival. In 2016, Wilson starred in the Netflix feature film I Am The Pretty Thing That Lives In The House, and Showtime’s Golden Globe-winning original series, The Affair, for which she won a Golden Globe for Best Actress in a Drama Series in 2015. The Affair, returning in 2018 for a fourth season, explores the psychological effects of an extramarital affair between a married woman Alison (Wilson) and an older married man Noah (Dominic West) in US coastal town, Montauk. Wilson was nominated for a Tony Award for her Broadway debut as Marianne in the critically acclaimed Constellations, starring alongside Jake Gyllenhaal. In December 2016 she returned to the National Theatre to star in the title role of Hedda Gabler for which Wilson received an Olivier Award nomination. Wilson is a mainstay on the London stage, where she has won two Olivier Awards for her performances in two Donmar Warehouse productions: Tennessee Williams’ A Streetcar Named Desire where she portrayed the character Stella and Anna Christie, in which she starred opposite Jude Law and portrayed Anna. In 2010, Wilson portrayed Karin in an Almeida Theatre adaptation of the Ingmar Bergman film, Through A Glass Darkly. Wilson debuted on the London stage in 2007 in the National Theatre presentation of Maxim Gorky’s Philistines. In 2013, Wilson starred in Saving Mr. Banks, opposite Colin Farrell, Tom Hanks and Emma Thompson, The Lone Ranger alongside Armie Hammer, and as the wife of Tom Hardy’s character Ivan Locke in Locke. In 2012, Wilson starred in Joe Wright’s film adaptation of Tolstoy’s Anna Karenina opposite Keira Knightley and Jude Law as the character Princess Betsy. From 2007 to 2013, Wilson starred in various British television films and miniseries including Miss Marple: Nemesis, BBC’s Capturing Mary, Small Island, The Doctor Who Hears Voices and The Prisoner. Since 2010, Wilson has appeared in the UK psychological police drama Luther as the recurring character Alice Morgan, a research scientist and highly intelligent sociopath. Luther is a Golden Globe-winning series which has been nominated for eight prime time Emmy Awards.